It is the Autumn of 1783. Life as a pirate is becoming increasingly difficult for JASPER DE QUINCEY SCABBARD, knight baronet, and Captain of the heavily armed brigantine, the Black Leopard. With the American War of Independence concluded both British and French fleets are more effectively protecting their shipping and territories. Now an English squadron is scouring the seas for those of Jasper’s profession and his name is high on their hit list. 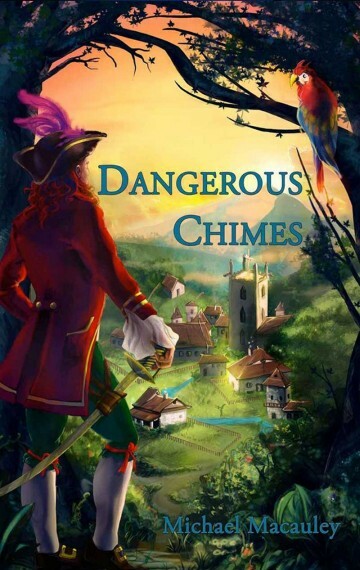 With buccaneering opportunities becoming few, and determined to avoid capture and execution and if possible save his crew, Sir Jasper has selected what he believes to be a rich and easy target to provide sufficient plunder to round off his career. A normally shrewd strategist and tactician, and an extremely intelligent and rational representative of the Age of Enlightenment, he naturally disregards references to superstitions in his research. And so, sadly for you Sir J., this project is not going to be quite the walkover you had hoped for….